It has felt a bit like the end of the school year is like running a race. You can see the finish line, but have to put in so much effort to get there. The last week has been filled with tons of fun things, but also tons of things that require a lot of work, planning and executing. And, now I can breathe a little bit easier with it all behind me. I will share later some about Connor's graduation, but wanted to show the kids on the last day of school. 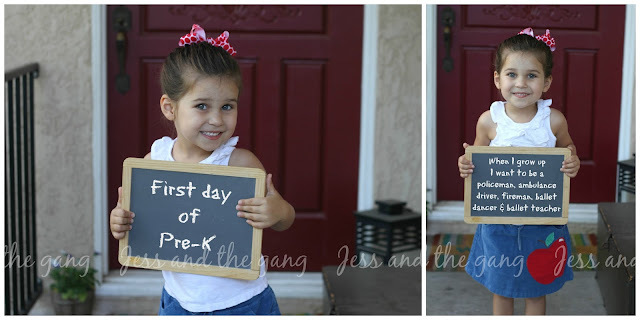 And, since I went back and looked at them on the first day of school (my how they have grown and changed in such a short time period…why does it go so freaking fast?! ), I thought you would like to see it too. So, here is them at the beginning of the year. ^^ It's funny how Connor wanted to wear his school shirt on the first day of school. He also wanted to wear it on his last, but I wouldn't let him because they asked the kids to dress up for graduation. 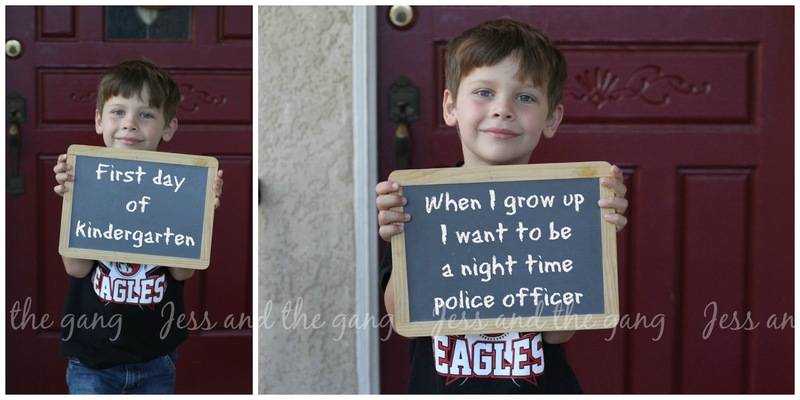 ^^ After saying he wanted to be a police officer for the past couple years, that has changed to a firefighter. And for some reason it sounds so grown up to me that he says firefighter instead of fireman. I guess my little man is growing up. Thankfully he still grabs for my hand and makes my heart beat a little faster every time he does. ^^ Given that the last thing Isla wanted to be was a snail, I was pleasantly surprised that she has changed to a hair styler. I wish I could bottle up how she says hair styler because it sounds so freaking cute. 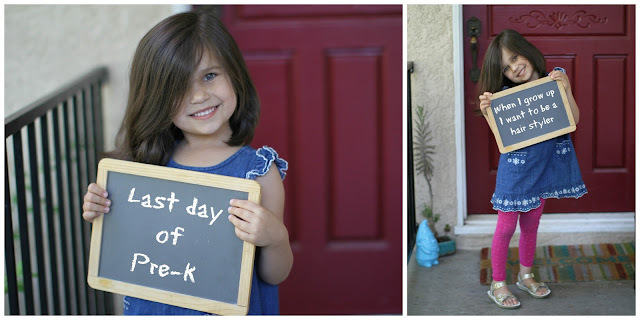 She made the decision to change her snail ambitions after career month at her preschool and a hair stylist came in and spoke to the class. 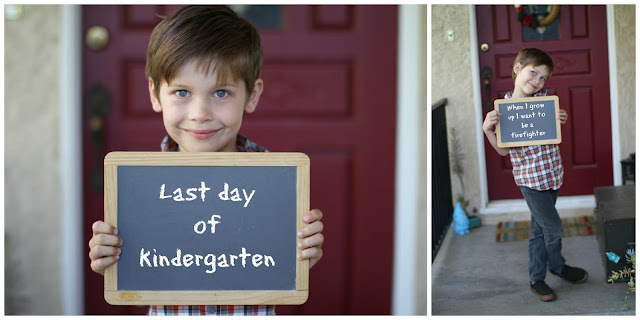 It's been an incredibly good school year for both kids (and for me!). They lucked out with amazing teachers. I am sad to think about them being apart from some of their friends in new classes next year. But I guess that is the beast of school…things change every single stinking year. But, I'm not ready to focus on next year. I am currently excited for summer, lazy mornings, beach days, travel, the sun staying out late, blueberry picking and more.